I'll never forget one night last fall when Erich was home, and we were talking in my room. Out of the blue he commented "you should follow my friend Kari on Instagram." "Oh okay..is she married or single?" And I really liked what I observed -- at least what I could see from a social media standpoint!! she was also a fan of Jane Eyre and plus her instagram bio simply said "goodwill enthusiast,"
and observe how He writes an amazing story. Our family has been so excited this year as Erich and Kari began their relationship at the end of December, got engaged in May and are getting married this fall!! "We met 2 years ago through church. Erich was serving at a different church campus than me (we were both on staff and work with youth at the same church in Tennessee), so we didn’t see each other much outside of staff meetings. One day while talking, we discovered that we both loved goodwill and thrifting. So, after a staff meeting that week, we went to goodwill, and that’s where it all began. We started to hangout a few times a month (especially on the 50% off Saturdays) and go to goodwill or other various antique and thrift shops. I (Kari) was always interested and somewhat nervous when we would hangout but would try to just focus on being his friend. I (Erich) was super pumped because Kari was the first girl I had met that didn’t seem to be out to just date me. Reading those two sentences back to back is really funny, and is part of why we LOVE our story, and love telling it! Paul Kevetter was a long time family friend and my (Kari) youth pastor for years. He ended up on staff at our church and was Erich’s boss, and close friend too. I (Kari) would always talk to him about my huge crush on Erich and ask him to make something happen. He would respond the same every time we talked. He would laugh, tell me to chill out and just be his friend, and if things work out, awesome, and if they don’t then the friendship won’t be ruined. Paul was and still is a mentor in my (Erich) life. While all of these conversations between Kari and Paul were happening, I had a few conversations with Paul regarding the exact same thing! Paul being the middle man, was loving every second of getting to see each side, and watch it all unfold. He never pushed or led the other to believe anything they didn’t need to. What a guy! Anyways, one day Paul asked me how things were going since I had been hanging out with Kari a lot. He told me (Erich) that we would be perfect for each other if we were ever interested in taking our friendship a step further. This caused me (Erich) to start thinking and praying a lot about what that would look like. While all of this was happening, I (Kari) had been praying about Erich for many months and would have probably cried had someone told me he was praying about me also. I’m so glad no one told me though, because it really allowed me to learn about trusting God in all situations and that He delights to see his children trust in him and He also delights to give us amazing gifts! After a few months of praying, and talking with my parents and people I trust and respect, I (Erich) decided to call Kari’s dad and ask his permission to take our friendship a step further. Robbie and I went to coffee (that was nerve racking!) and I told him how I felt about his daughter and he gave me permission to tell her. So, the very next day, I took Kari to lunch and asked her what she thought about starting a relationship. As we are at lunch I (Kari) was SO nervous and barely eating, and when he asked I could have probably screamed YES right there in Chipotle, but no worries, I kept my cool and simply said “I think I’m in!”. The best part of all of this, is that neither of us had ever dated anyone else and had zero idea what we were doing, so we got the chance to learn it all together, and what a HUGE blessing that was, and still is! Over the course of the next 5 months we had many fun adventures, and many days filled with antique stores and goodwill. Even though there was tons of fun times, there were also lots of hard conversations because we decided to be totally upfront and honest with each other in everything, and that wasn’t always easy, but it has made this relationship the best it possibly could be and has helped grow each of us so much! It took me (Kari) about two months to admit to myself that I was falling in love with Erich, because I was scared, but once I opened up about it, everyone around pretty much looked at me and said “DUH!”…so that was encouraging and scary all at the same time! For me (Erich) I knew from day one that this girl was someone I could easily see myself spending the rest of my life with, and as time went on that was proved to be true! So, I (Erich) did a lot of praying and talked with my parents, Paul Kevetter, Kari’s Parents, and others about when the best time to propose was. Paul gave me the idea of asking her on her birthday, and I thought that was a great idea, so I went with it. On May 17, 2014, was the day he proposed. He took me to an antique shop that we both love and got down on one knee, and I (after crying and freaking out a lot) said yes!! I (Erich) was so nervous the whole morning up to asking her! Good thing she said yes! We then went on a picnic on a hill beside the interstate, and talked and dreamed about our life together. After telling our families and friends, everyone was SO excited for us! We are so blessed to have this relationship and are loving every part of being engaged. We cannot wait till our wedding! 50 days!" I loved getting to photograph these two in Tennessee a few weeks ago. I was praying for magic in the images we would take, and God really gifted us with that. 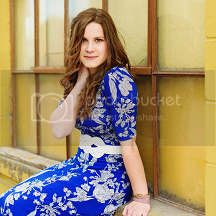 Super obsessed with how these turned out, and I just adore shooting in urban areas like this. Sometimes it blows my mind how fast time goes by and things we imagine down the road can become a reality. We grow up and move into new seasons of life, with the future exciting and yet bittersweet in a way. All that said, I am stoked to share with you all my favorites from their engagement shoot!! Though these feel like way more than favorites -- because they're family. We started at the antique shop where they got engaged..too many cool backdrops, right?! yes, I am a fan of them and these colored windows. work it. Oh my these photos are so sweet! I love love love all the fun locations and backdrops. Their joy and comfort with each other really shows. Loved reading their story too. It's amazing and beautiful how God works. ABSOLUTELY LOOOVE these!!! FANTASTIC job! speechless... uh-mazing,girl! oh man, their style... so cute. i can't wait to see how they're gonna dress their babies.